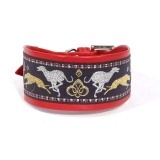 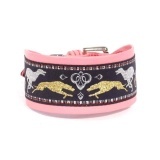 Our original ribbon with running sighthounds is the most favourite decoration of our collars. 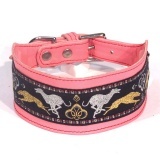 Here is the complete offer of leather collars in this style. Collars are in wide straight shape and they mostly fitted with massive nickel buckels and D-rings. 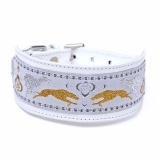 Our original ribbon with running sighthounds is the most favourite decoration of our collars - gold and silver on grey. 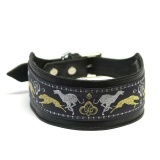 Nickel buckle and D-ring. 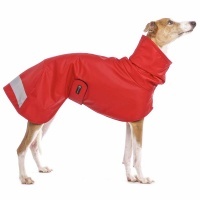 Whippet sizes (23-35 cm). 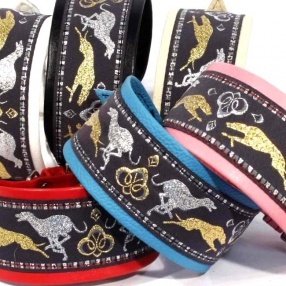 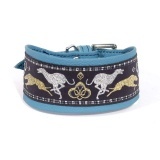 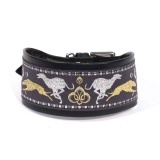 Our original ribbon with running sighthounds is the most favourite decoration of our collars - gold and silver on black. 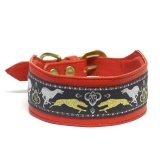 Nickel buckle and D-ring. 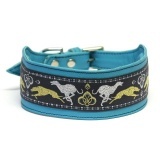 Whippet sizes (23-35 cm). 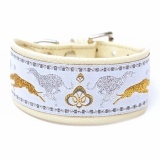 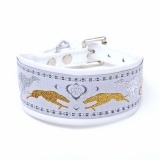 Our original ribbon with running sighthounds is the most favourite decoration of our collars - gold and silver on white. 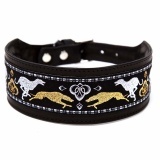 Nickel buckle and D-ring. 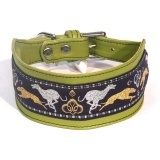 Whippet sizes (23-35 cm). 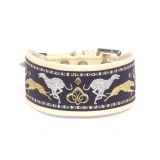 Our original ribbon with running sighthounds is the most favourite decoration of our collars - gold and silver on grey. 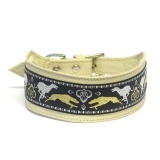 Nickel buckle and D-ring. 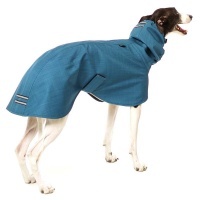 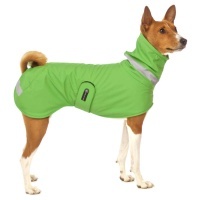 Sizes for medium and large Sighthound breeds (31-52 cm). 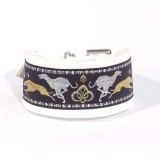 Our original ribbon with running sighthounds is the most favourite decoration of our collars - gold and silver on black. 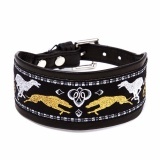 Nickel buckle and D-ring. 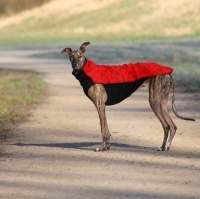 Sizes for medium and large Sighthound breeds (31-52 cm).